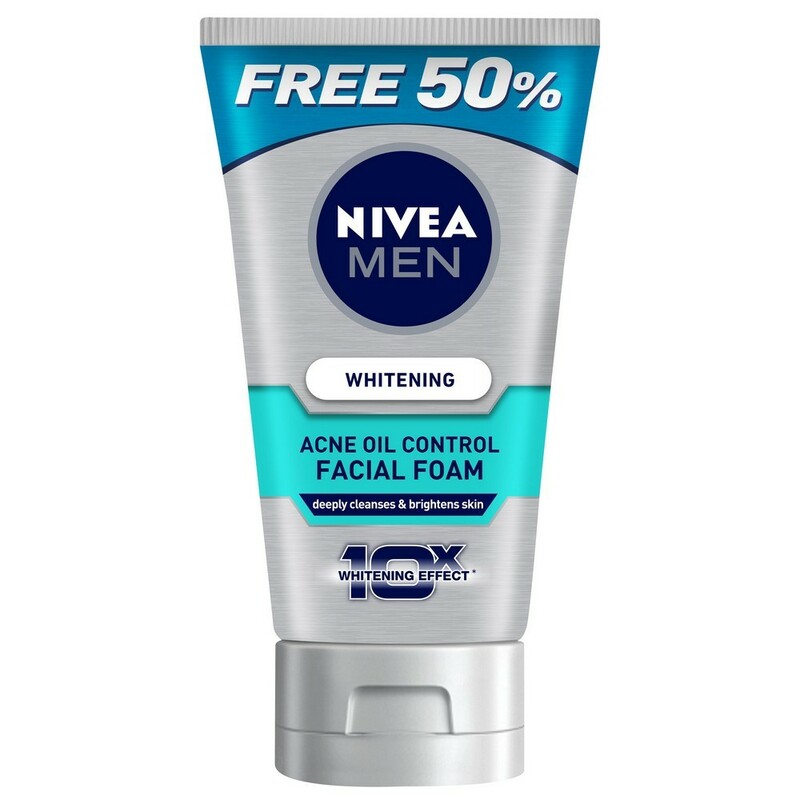 NIVEA MEN WHITENING ACNE OIL CONTROL CLEANSER FOAM gently cleanses to unclog oil & dirt while effectively prevent acne caused by excess oil without thinning the skin. With natural nutrients of Whitinat Vita Complex, which helps to brigtens dull skin & tighten pores. Skin is 10X Clearer & Brighter.